At the Culkin School, we offer an award winning figures program. Figures or céilí (pronounced KAY lee) dancing brings a team aspect to Irish dancing. 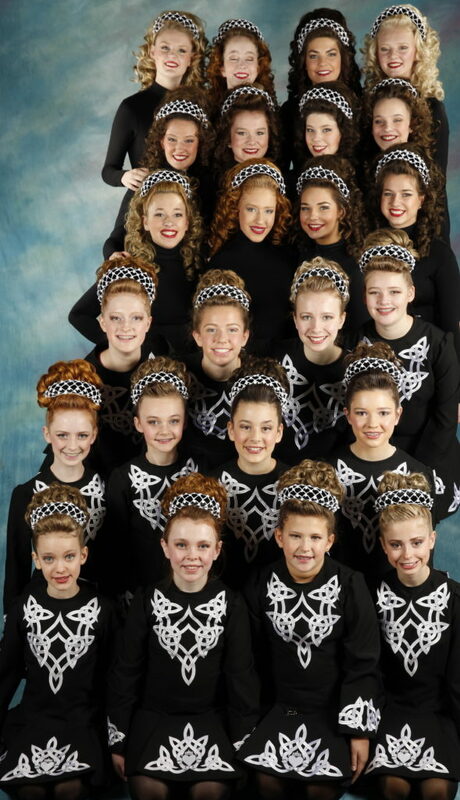 Team dancing is a wonderful way to meet other Culkin Irish dancers and their families! Participating in the figures program can benefit dancers by increasing their stamina and fine tuning all of the basic moves needed in solo dancing! We highly recommend joining! Please note that dancers must be enrolled in a solo class to be eligible for figures. We offer the opportunity to compete locally, regionally and internationally. Collectively, the school has six 1st place Regional Titles and has achieved several top five placements at the regional level. The school participated in the 2009 World Championships in Philadelphia as well as the World Championships in Boston in 2013 and the 2015 North American Championships in Providence! Our figures classes are offered at Hughes UMC in Silver Spring and are separated into levels based on experience. Just click here to view our location and class schedule. ADULT FIGURES PROGRAM: Our first endeavor with teams was with our adults. The program was so successful that we decided to expand and introduce figures to our children. Our adults have competed at the All Ireland Championships in Dublin and have won twenty-six 1st place Regional Championship titles and two 1st place National titles! Phil Stacy, TCRG, is the Adult Program Coordinator. If you are interested in joining the Adult Program, just click here for more information!